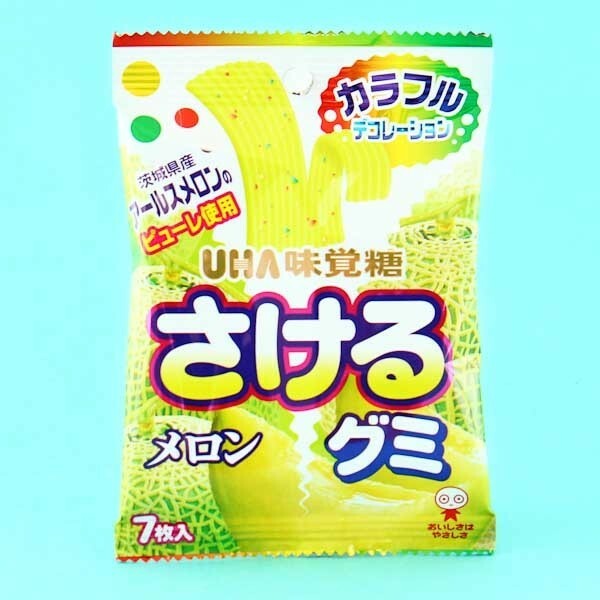 Melon candy lovers check out this funny and tasty melon flavored peeling gummy candy! 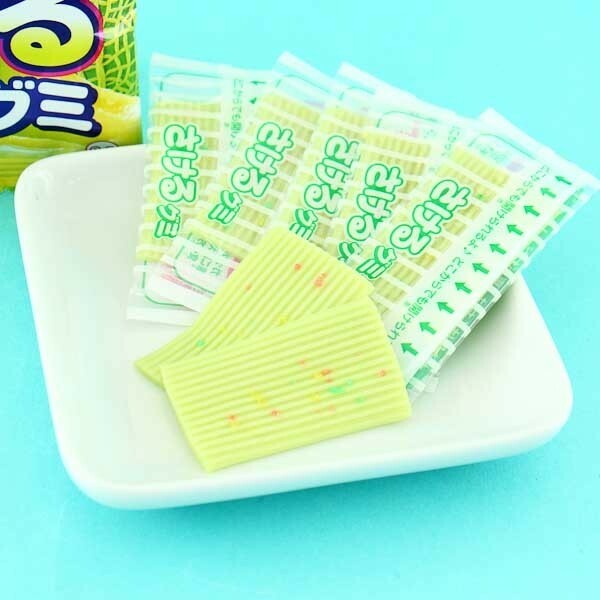 This soft gummy candy sheet, decorated with colorful candy sugar rocks, can be peeled into different sized pieces and will for sure have you playing with your food! Enjoy this candy with your family or your friends and be prepared to have some fun at the same time! The package contains 7 individually packed gummy sheets with funny instructions on each package.